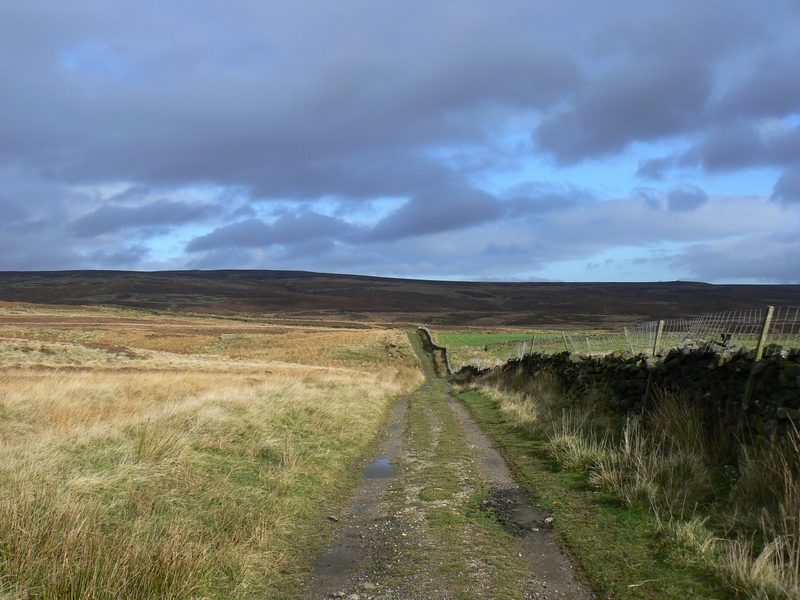 Round Hill is the name given to the highest point of the large swathe of moorland which is south of the A59 between Blubberhouses and Beamsley. 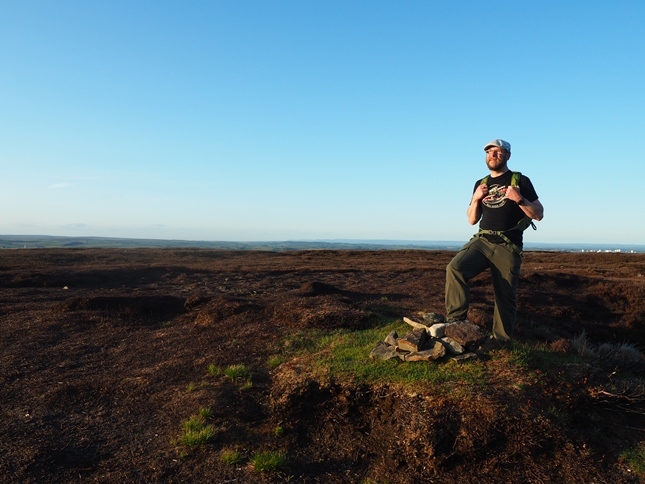 The summit is situated just 600ft outside the boundary of the Yorkshire Dales National Park. Instead it is in the Nidderdale Area of Outstanding Beauty which includes Washburndale, the valley to which Round Hill largely owes its allegiance. The small area of the Yorkshire Dales National Park which runs south of the A59, and which just misses the top of Round Hill, seems to have been designed to incorporate The Old Pike, or Beamsley Beacon as it is better known. Despite Round Hill being higher than The Old Pike it is fair to say that not only is the latter better known but it also much more interesting. This is not to say that Round Hill has no features of interest itself. Anyone who takes even a cursory look at the Ordnance Survey Explorer map will notice the large number of boundary stones. These are also very obvious when out walking and can be found on the paths leading to and below the summit. Indeed anyone approaching Round Hill on the path over Ellacarr Pike and Lippersley Pike will enjoyable a veritable feast of boundary stones. While most of the boundary stones have clearly been placed for that purpose one notable exception is the Grey Stone. 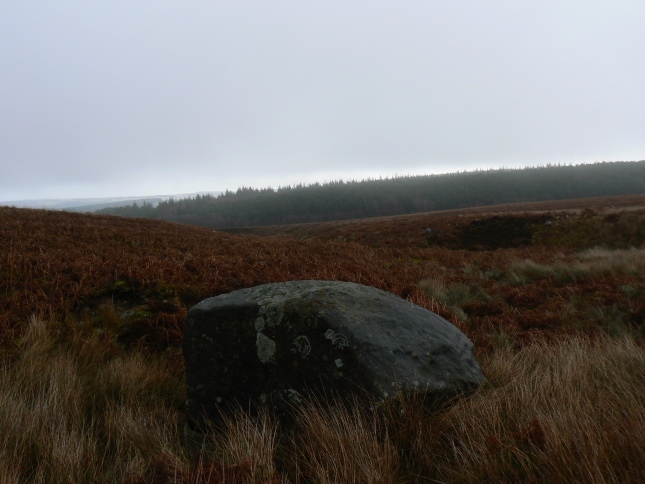 This large gritstone boulder can be found alongside the moorland path between Round Hill and Old Pike. 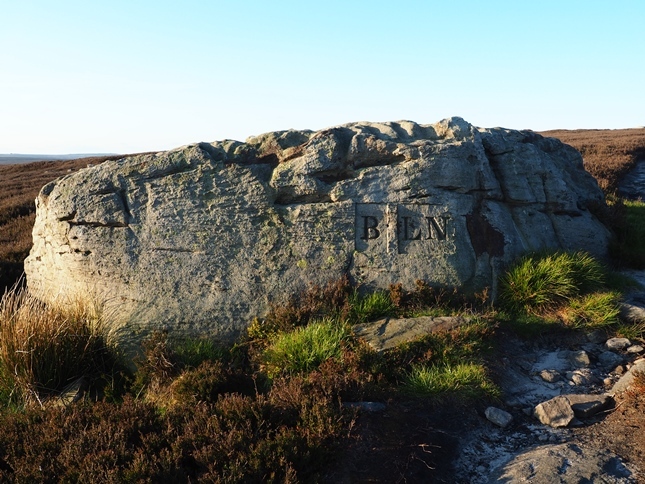 Despite being naturally placed it is marked on the map as a boundary stone and clearly has the letters ‘B/LN’ carved into it. Another stone worth seeking out is the Eagles Stone. This can be found on the path running from Gawk Hill Gate, to the south of the top of Round Hill, to the road at Blubberhouses. For part of its course this path follows the course of an old Roman road. It is likely that the Eagles Stone is named for the eagle standards that the legions of Rome once carried along this road. 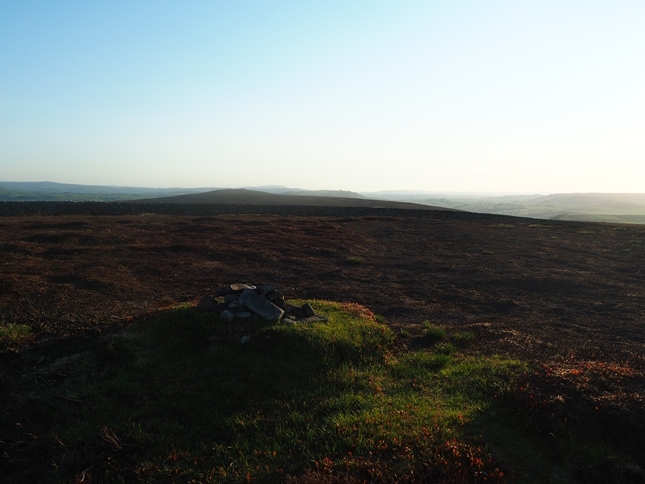 The summit of Round Hill is marked by a small cairn situated on a tiny bump. 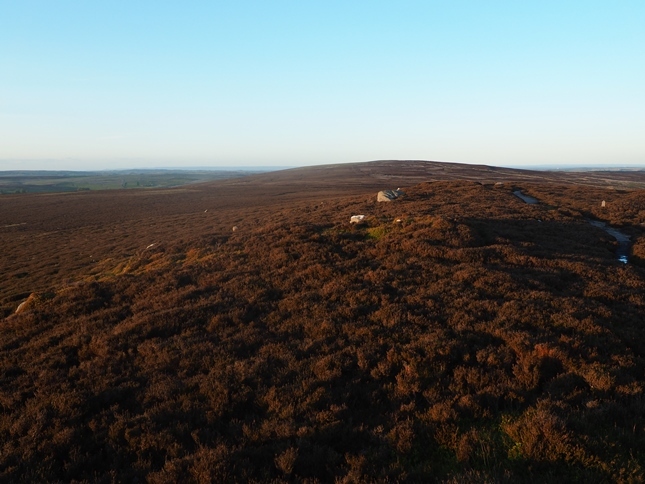 Whilst the surrounding moor means there is very little depth to the view the panorama is still quite extensive. On a nice evening the outline of the Hambleton Hills can be seen far to the north-east, even the Kilburn White Horse can be seen. 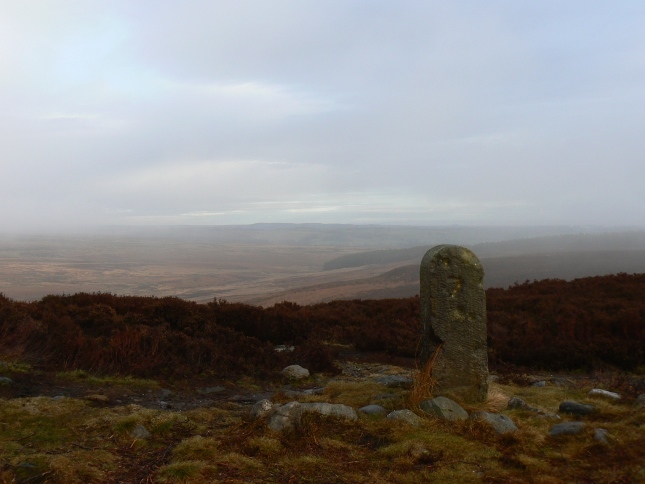 Closer to Round Hill itself are Old Pike, Rombald’s Moor, Simon’s Seat and Great Pockstones. There are numerous options for reaching the top of Round Hill. The quickest is to follow a track from the summit of the A59 above the Blubberhouse pass. This leads almost directly to the summit. Round Hill can also be reached by an easy detour, with very little re-ascent, from Old Pike. Other options include the aforementioned path over Ellacarr Pike and Lippersley Pike from the road near Timble to the east. From the south there is a parking area on the minor road at Ellishaw Hill. 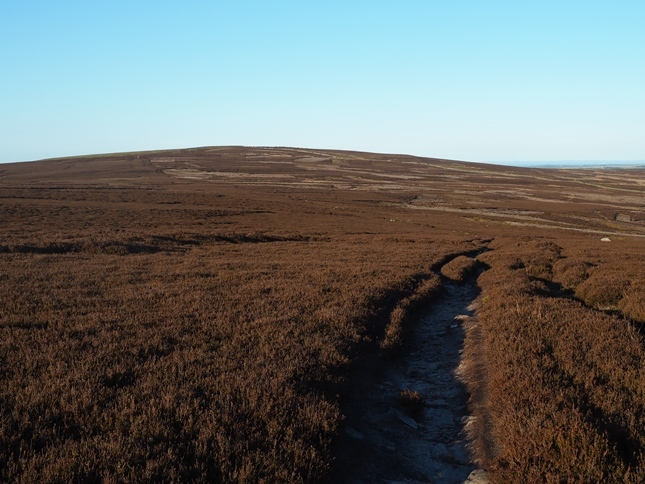 From there a path heads east to reach a good track that climbs across Middleton Moor up on to the top of Round Hill.